Lately I have been feeling rather constrained by the limited display area of my blog’s theme, which was preventing me from posting images larger than 500px in width. Add to that, I was serving mobile visitors with a specific mobile theme, which although easier to navigate and faster to load in the mobile, but was way too simple. Finally after month’s hunting, I found a theme on WPZOOM, which fit my needs and was responsive as well (i.e. scales to fit display resolution of the browser), enabling me to use one theme for normal and mobile visitors and thus doing away with the need of having two themes. Of course there is a still that needs to be done, in order to make this theme truly personalized to my needs, however in the past hour or so, I have managed to tweak it enough to meet my initial needs and give me a solid base to work upon. 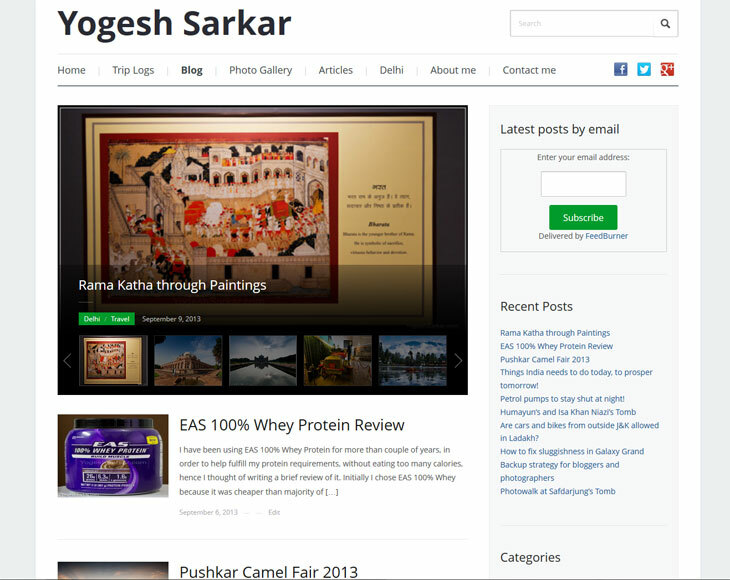 Suggestions and feedback on the new theme is most welcomed and they would help me spot any bugs and improve the blog even more, so please feel free to chip in.